The best home security system is one that a homeowner can easily understand, and that they don’t have to think about too hard. They just want it to work the right way, so they can stay safe and have peace of mind. Part of having a good system is having a carbon monoxide tester of some kind in your home. Even home owners who don’t really think they need these devices should have them, because it’s much better to be safe rather than be sorry. 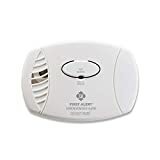 Carbon monoxide is a colorless and odorless gas, so it’s easy to overlook a problem with it until it’s too late — and a carbon monoxide detector can help reduce the chance of harm. But sometimes these detectors can have malfunctions or problems, and sometimes there are just issues that need to be addressed. 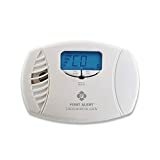 From fault codes to dead batteries and much more, there are ways a carbon monoxide detector will warn a homeowner that something needs to be corrected. One of those ways is through a flashing light orange color. That’s not the normal color for a flashing light on a detector, so it’s easy to see that there’s something going on that a homeowner will want to take a look at and adjust for. Yellow and orange have traditionally become colors of caution. Like yellow lights and orange road cones, other types of devices that involve these colors help indicate that there’s something to be considered. A flashing orange light on a carbon monoxide detector generally means there is a problem with the detector itself. The most obvious or common problem is a low battery that needs to be replaced. There’s also the chance that the light is a fault or tamper code, showing that the detector is malfunctioning. Replacing the batteries may fix that issue, and if the device is hardwired in or connected to a home automation or security system, it can make sense to disconnect it for a few minutes and then reconnect it again. That can also be enough to clear the code. Sometimes that doesn’t work, though, in which case it may be necessary to replace the detector in order to reduce the chance of risk to the homeowner. With the right security system, a flashing light will pretty obviously be seen as a warning light. These lights will usually be green, indicating that everything is all right. If there’s a serious problem, such as the actual detection of carbon monoxide, the light will be red. But what happens when there’s an issue with the detector itself? That’s where the orange light comes in. 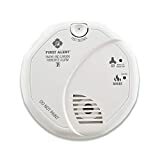 It’s letting the homeowner know that the detector isn’t able to do its job correctly, and that intervention is needed in order to make the detector work properly again. Otherwise, it’s not really protecting the home the way it should be. When companies provide a good security experience and quality equipment, it’s much easier for a homeowner to have the peace of mind they want, need, and deserve.